Home / Cruise Ships / Who Owns Royal Caribbean? 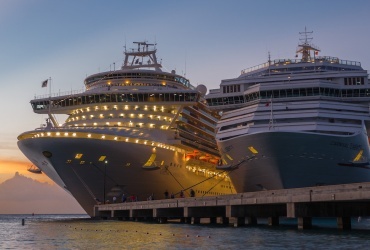 Cruise ship companies have consolidated their fleets during the past decade, and the majority of cruises are now operated by a handful of premium lines. 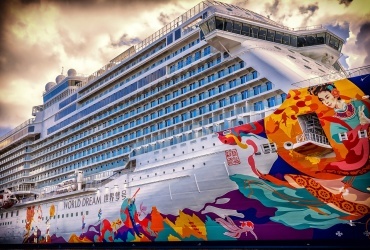 Royal Caribbean International has continued to expand operations around the world, with guests enjoying all the best of luxury travel from Europe, Asia, Oceania, the Pacific North-West, and of course The Caribbean. 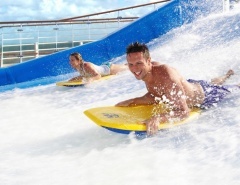 Royal Caribbean International is just one cruise line in the fleet managed by Royal Caribbean Cruises Ltd, (RCCL). 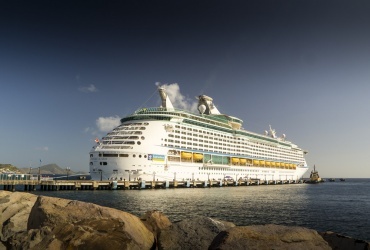 Royal Caribbean Cruises Ltd, based in Miami, has a total passenger capacity of around 92,000 and is traded on the stock exchange as a public corporation. The company boasts yearly travel to over 400 destinations. With more than 60,000 employees, Royal Caribbean Cruises Ltd is an economic powerhouse going from strength to strength. The size, scope, versatility and all encompassing luxury of Royal Caribbean International vessels remains a major draw-card, with itineraries designed to suit every possible cruise vacation schedule and budget. What is the newest Royal Caribbean ship? Quantum of the Seas, launched in 2014, has taken innovation and cruising experience to a new level: a quantum leap forward. 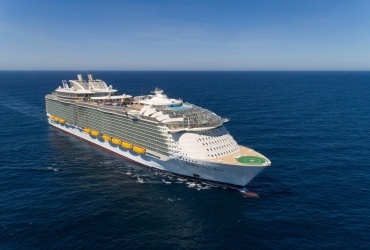 Every family member is catered for on Quantum of the Seas, which features the finest dining and venues, opulent staterooms, all-encompassing views, a skydiving simulator and even a 30 vehicle bumper car circuit. 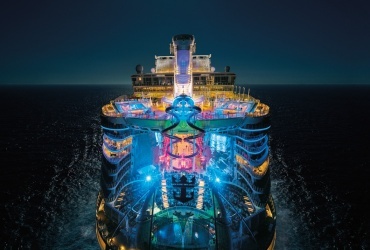 Royal Caribbean Quantum class includes an ice skating rink at sea, along with signature innovations such as the onboard rock climbing wall, a Main-Street themed Royal Promenade, British-style pub and exclusive designer shopping. The Quantum class ships will have you feeling you have arrived at the destination as soon as you step onboard. 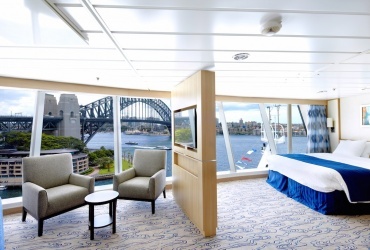 Quantum of the Seas cruises are rapidly becoming the new benchmark in travel, and travellers from around the globe are set to enjoy the experience. The 2014 / 2015 itinerary includes visits to the Caribbean and Bahamas, Asia, England and the U.S.A. Additional features include a jewel-shaped viewing capsule providing panoramic views 300 feet above sea level, the huge Seaplex active space ideal for all the family, adventure programs for the kids, and award winning shows such as Chicago and Mama Mia, all part of the spectacular onboard entertainment. 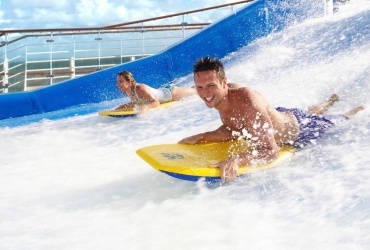 You can have unlimited fun on a Quantum of the Seas tour, and celebrity experts in sport, fitness and design will ensure you live the high life and return home relaxed, pampered and in better shape than ever. 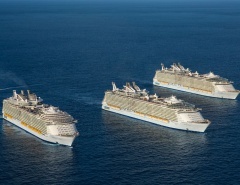 How many ships does Royal Caribbean have? The 23 ship fleet is designed for both short getaways and extended ocean voyaging to destinations around the world. 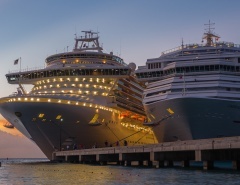 As the flagship cruise line for Royal Caribbean Cruises Ltd, Royal Caribbean International caters to people from all walks of life, and ensures their ships are accessibility friendly for those with disabilities. Along with the Quantum class there are several other options for floating luxury replete with outstanding features. Designed for shorter getaways, the Sovereign class provides options for full relaxation or ongoing excitement. The Vitality Spa and fitness centre will have you in tip-top shape to enjoy round-the-clock fine dining and fun night-life. The Casino Royale is ever-popular, and whirlpools, basketball court or rock climbing guarantees you will never be bored. 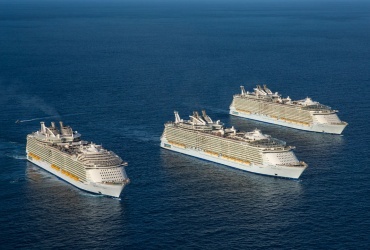 The Sovereign class has only one ship, the Majesty of the Seas. What to wear on a Royal Caribbean cruise? Onboard attire: The first day of a cruise is one of adventure and discovery. Remember that travel often requires customs checks and visa restrictions, so it’s a good idea to arrive onboard with a carry bag containing important documents along with clothing options to get you amongst the fun and action. Pack a change of clothes, swimsuit, exercise or activity clothes and any other gear you may require before your checked bags arrive. Once settled in, your casual attire will come to the fore. Shorts, T-shirts, casual skirts and sundresses are perfect indoors or outside. A swimsuit is a must even if you are not a water-baby. The allure of the water will eventually draw you in. Casual shoes and sandals are essential, and should be worn according to your choice of activities. The onboard fitness centre is an attraction worth remembering, and packing a selection of workout gear is a good idea. Dinner attire is another consideration, with various dining venues encouraging appropriate dress. 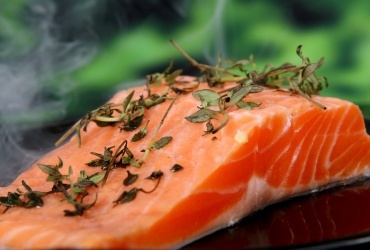 Your Royal Caribbean cruise dining options itinerary will ensure you arrive at your chosen dining venue looking great and ready to mingle. Onshore attire: The clothes you pack will depend a lot on your cruise destination. Comfortable walking shoes are essential, along with a sun hat and sun screen lotion. Northern Europe and Alaska can be cold at night even during summer, so a sweater, jacket, trousers and rain jacket will come in handy. Onshore touring often involves visiting conservative establishments such as cathedrals and museums where appropriate attire will be appreciated. Royal Caribbean International has evolved in sync with passenger expectations, and is often cited as the cruise company of choice for reaching classic destinations, enjoying onboard entertainment and being pampered in opulent luxury and style. 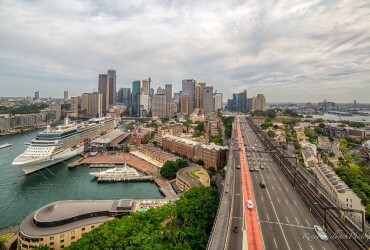 Royal Caribbean International is a cruise line that is truly going places, and enjoying the journey along the way. Did I miss something important? Would like to read more about these cruise ships? Let me know in the comments! Photo credit Ruth Peterkin / Shutterstock.com, Craig Stanfill, Franz Neumeier, Nick Hobgood, Timothy Wildey, Mike Smail, Adam Fagen. All images of Quantum of the SeasSM are computer generated and reflect proposed design. Designs, features and itineraries are subject to change.